And yes, that is the Ecto-1 on top of the tower. Lego set 21108 if you're interested. 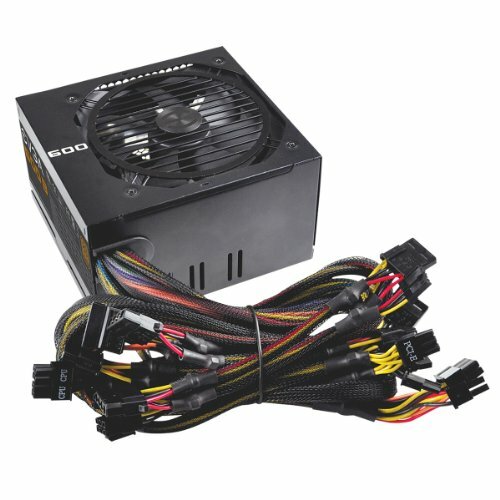 I've been wanting to build a PC for a while now, but I couldn't justify spending the money until now. For the last year or so, I've been using my Surface Book to game, and it hasn't been holding up well. I got a better job this summer and finally had enough money to upgrade, so I started trawling eBay and PCPartPicker for parts. I originally put it together with an AMD A12-9800 APU as an experiment, which failed miserably. (Seriously, that thing was a piece of ****). I grabbed a used GTX 760 on eBay as a stopgap, which got me through the summer. However, I had been using a beat-up 22" 1080p monitor that I was borrowing from my brother, which was not going to be sufficient for the upcoming year at college. Enter the LG 29UC88-B. I stumbled across this beauty on Massdrop, which had it on sale for 25% off the MSRP. The monitor arrived just in time for me to bring it to uni, and it's an absolute stunner. Just one problem: My rig wasn't up to the task of pushing 2560x1080 at 75FPS. A quick trip to B&H and I had myself an AMD Ryzen 5 1400 (which I then nearly fried trying to overclock because the motherboard I bought turned out to be a little bit crap for OC). That fixed the issues I was having on the CPU and RAM side of things, but I needed a new GPU. Something in the realm of an RX 580. So I hopped on eBay again and started look... $500. Oh. Right. Ethereum mining is still a thing. So I kept poking around. There were some 1060s around for halfway decent prices, but then I wouldn't get FreeSync. What I really wanted was an RX 580, but those were all going for $400-$500. At that point I might as well get a GTX 1080 and never have to worry about dropping below 75FPS, but I don't have that kind of money. Then, like a gift from the heavens, it came. A beefy, factory-overclocked RX 580 from Sapphire, for $269.99. Limit one per household. It was a little over MSRP and only had 4GB of VRAM, but I was desperate. I had just bought Prey, and the 760 was barely keeping up on Medium graphics. So I bought it. It was out of stock the next day. Damn miners. The other parts in the system have much less interesting stories. Most of the peripherals are holdovers from my old laptop-based setup. Some are gifts, some were bought with gift cards. The speakers belonged to a grandmother who had been using them for her TV (?!?!?) and the controller took a while to find (I eventually got it at a Microsoft store in Boston, last one in stock), but everything else was bought on Amazon, B&H, or eBay. Now that the system is built, I'll probably leave it alone for a little while. A new case and keyboard with RGB will probably happen eventually, but those are luxury additions. For now, I have some games to play. Prey runs on Ultra on this system, and I plan to take full advantage of that fact. A solid CPU for a solid price. What more can you ask for? A legend, and for good reason. Nothing else gets you such good temps for such a low price. It's not the coolest tower on the block, but it won't break the bank either. It works, but overclocking is iffy. The automatic overclocking is very unsophisticated (+500 MHz and locked at 1.45V) and manual overclocking is annoying without a Clear CMOS button. Has a good selection of features for the price though. Corsair, G.Skill, and Kingston. You can't go wrong with any of them. It's RAM, and it works. 5/5 would find cheapest eBay deal again. Samsung has always had the last word in consumer SSD performance (though Intel makes compelling arguments on occasion). This is one of their best models, with a very good ratio of price, performance, and size. With the GPU shortage at its peak, buying a mid-range GPU can be an expensive proposition. Luckily, Newegg had a deal for me just when I needed it. 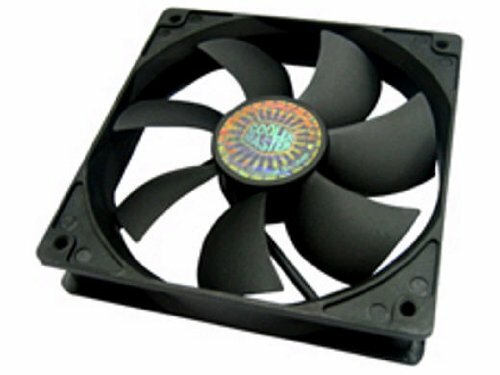 I got this wonderful number from Sapphire, with a good overclock, 0RPM fans, and silent operation. Performance is fantastic, not a single issue to be had. It's old, it's cheap, and, well, you get what you pay for. The side window is small, there's only one SSD mount, and no cable management to speak of. Space is tight (I couldn't even install fans in the top). 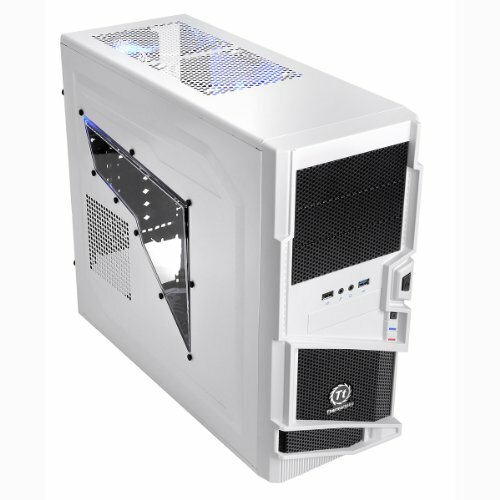 Do not recommend, unless you need the cheapest possible case that's white and has some kind of window. Even then, it's iffy. EVGA has built quite a name for itself in the power supply world lately, and for good reason. 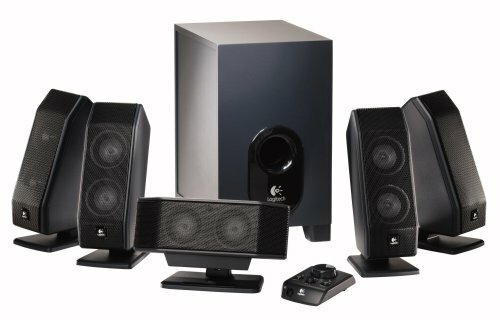 They just keep churning out sturdy, efficient, reliable units for a great price, and they look decent to boot. It's Windows. It's 64-bit. It's Pro. It costs an arm and a leg, but we still buy it because we have no other choice. GG, Microsoft. GG. Cheap but effective. If you just need a little extra airflow and don't care how it looks, it's hard to beat a four-pack of these. A spectacular unit made all the more spectacular by the price. Pick it up on Massdrop for $300 and have a ball. It's ultrawide, it's curved but not excessively so, and it has FreeSync. That IPS image quality is present in full force, and the size is just right to take it all in at once. Best monitor I've ever used. A solid keyboard, but a bit lacking in features. The biggest issue is that there's no way to control the backlighting from your PC, which means you only get one profile and there's no automatic changing when you launch a game. The media keys are nice, however, as are the Cherry MX switches. EDIT: As I typed this very review, the palm rest began to develop a rather annoying creak. This does not bode well. -1 star. 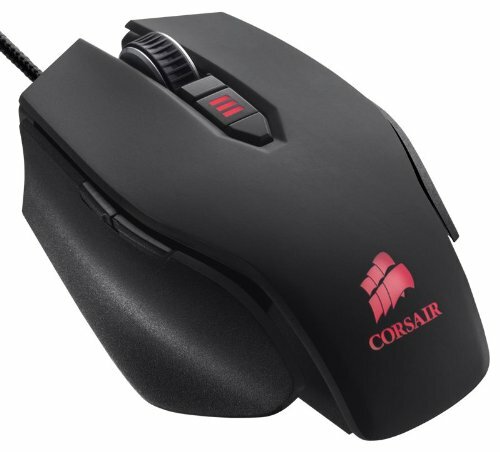 A good general-purpose gaming mouse. 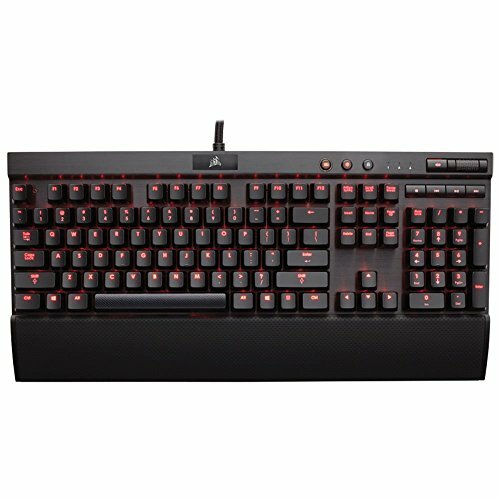 The programmable, adjustable DPI and remappable keys give it good versatility, and the adjustable weight system is quite cool. I know, right? **** miners, man. At least they don't target pre-built PCs with an RX 580 inside them, which is lucky if you don't have PC parts waiting to be used (aside from expandable storages and ram slots). Best Buy is actually selling a pre-built system with an RX 580 and Ryzen 5 1400. They actually did when the profit was really high, not so much any more. Looks great! Did the 212 EVO work out of the box or did you have to get an upgrade bracket? I had to get a bracket from Cooler Master (it's in the 'Other' section of the parts list). The bracket is technically free, but you can only get it directly from CM and they charge seven dollars for shipping. 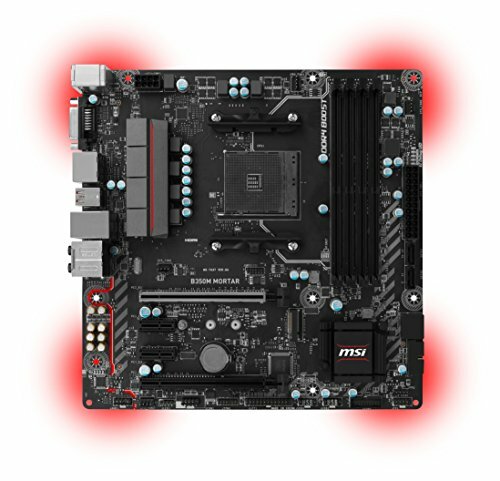 He probably won't need another motherboard soon, am4 support will continue for a few years. Yes, I'm positive. I work as a programmer, so Hyper-V alone is reason enough to buy Pro.